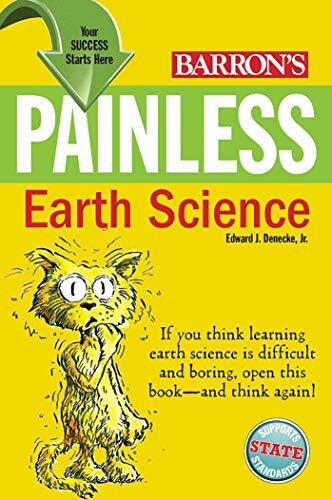 Titles in Barron's extensive Painless Series cover a wide range of subjects as they are taught on middle school and high school levels. Perfect for supporting state standards, these books are written for students who find the subjects unusually difficult and confusing--or in many cases, just plain boring, and may need a little extra help. Barron's Painless Series authors' main goal is to clear up students' confusion and perk up their interest by emphasizing the intriguing and often exciting ways in which they can put each subject to practical use. Most of these books take a light-hearted approach to their subjects, often employing humor, and always presenting fun-learning exercises that include puzzles, games, and challenging "Brain Tickler" problems to solve. This title describes the exciting revolution in our understanding of Earth's processes and changes, focusing on movement of tectonic plates, earthquakes, volcanoes, and much more.